Dresden, Neuchâtel, November 2018 – Spectos GmbH, together with logistics industry executive Mark Gieben, has taken over the Swiss technology company Kizy Tracking SA. Kizy develops a platform for real-time global tracking, consisting of one of the world’s smallest autonomous enterprise hardware tracker and a cloud platform for real-time tracking of shipments, assets and vehicles. With immediate effect, the new board of Kizy Tracking SA consists of Niels Delater, CEO of Spectos Group with 20 years of experience in data analytics and service quality monitoring systems, Mark Gieben, who has more than 30 years of logistics experience in management positions at DHL and TNT and Prof. Dr. Ulrich Krings, with a track record in service and quality auditing for over 20 years. With the investment in Kizy, Spectos is strengthening its position in the field of data collection and data analytics for service quality management in logistics. The combination of the unique Kizy tracking technology, which gathers position data based on globally available mobile networks and local WiFi data, and the Spectos real-time performance management platform for data analytics, evaluation and quality control, results in innovative solutions for the clients of Spectos and Kizy. The Kizy technology is a targeted addition to the portfolio of the Spectos Group, in order to ensure that its customers will continue to receive integrated solutions for a complete transparency of delivery processes on a global level. 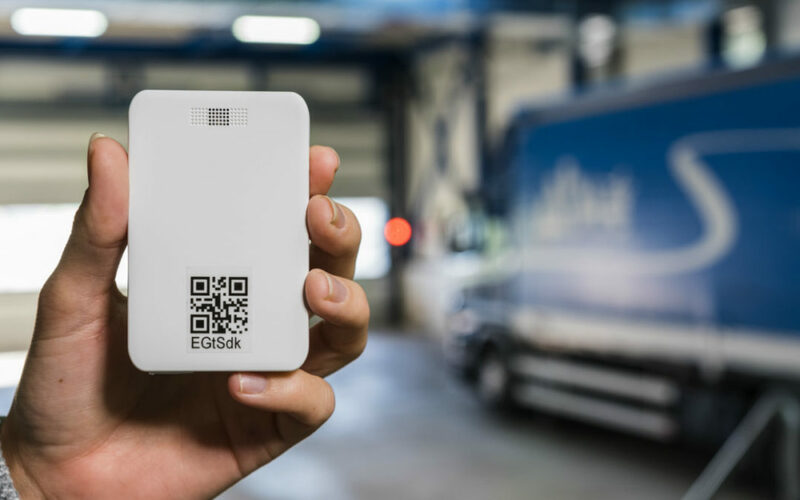 With a focus on the rapidly growing cross-border e-commerce market, the sensors in the trackers provide information on movement, light, humidity and temperature, thus enabling innovative solutions for food and pharmaceutical logistics. As an own brand within the Spectos Group, Kizy Tracking SA will receive a strong network, allowing it to offer holistic industry solutions to its existing customer base. Kizy can count on technical support provided by engineers of Spectos. Customers will be able to rely on Spectos’ know-how in project management and the development of data-based monitoring and control solutions to gain detailed insights and derive targeted measures from the tracker data. Furthermore, the global Spectos panel, Mailagenten™ , is available for receiving and returning trackers. Based in Neuchâtel, Kizy Tracking has been founded by professionals from the logistics, microelectronics and telecommunications industry. Their mission: to improve global supply chain operations by providing first-hand data about the status and location of shipments and assets everywhere in the world, in a cost-efficient way. Kizy is a low-cost B2B tracking system especially designed to fulfill the actual needs of the logistics industry. Kizy uses the existing GSM-infrastructure (no GPS) for positioning and communication. It makes advanced tracking and monitoring functionalities – which were up until now limited to niche applications – affordable for large-scale deployments.